Allegations that state logging agency VicForests failed to identify and protect Leadbeater’s Possums, Greater Gliders and their habitat in accordance with the Central Highlands Regional Forest Agreement (RFA) will soon be tested, with the Federal Court today saying the case should proceed. The new allegations are in an amended statement of claim filed by Friends of Leadbeater’s Possum. The case questions whether logging in endangered species habitat can continue to have an exemption from Federal environment protection law. The new claims include allegations that VicForests did not conduct detection activities or surveys for Greater Gliders in areas that have already been logged and is not protecting the species in more than 30 planned coupes. 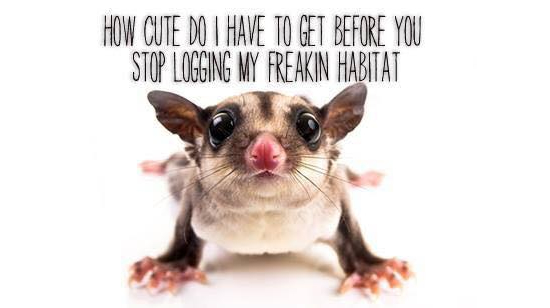 As a result of the proceeding, logging has been on hold in more than 30 areas that are home to Leadbeater’s Possums and Greater Gliders. VicForests’ undertaking not to log in those areas has now lapsed. Logging has commenced in some of the areas subject to the amended claim. As a result, Environmental Justice Australia, on behalf of Friends of Leadbeater’s Possum, indicated in Court this morning that it will seek an interim injunction to halt logging in these areas. “In March, the Court found non-compliance with State rules accredited by the RFA would remove the logging industry’s exemption from Federal environment protection law,” said Danya Jacobs, lawyer from Environmental Justice Australia. “Our client alleges precisely this type of non-compliance in forests that are home to the Leadbeater’s Possum and Greater Glider,” Ms Jacobs said. Steve Meacher, President of the Friends of Leadbeater’s Possum, said if logging continued in the Central Highlands forests, the extinction of Victoria’s faunal emblem would be even harder to avoid. “The government recently announced an extension to the Central Highlands RFA designed to lock in another two years of logging our critically endangered possum’s habitat – despite non-compliance with rules that are meant to protect threatened species,” he said. Friends of Leadbeater’s Possum Inc filed this case in November 2017. 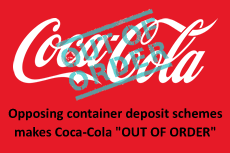 The Federal Court heard a preliminary question over two days in December. In March the Court found non-compliance with terms of the RFA that require five-year reviews does not remove the exemption from Federal environment law, but other types of non-compliance with the RFA would remove it. There will be a case management hearing in the week of 7 May.